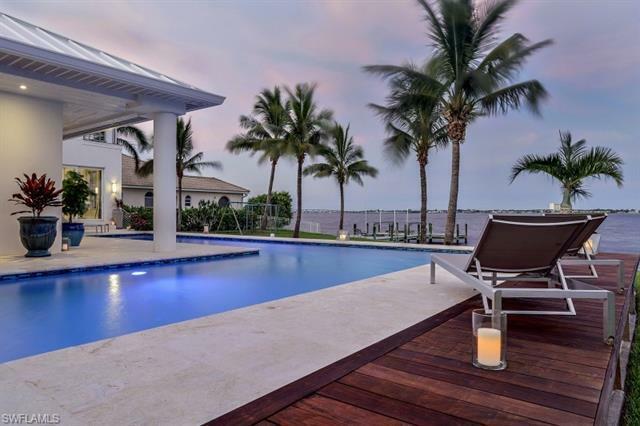 This exquisite estate right on the river is a true gem! 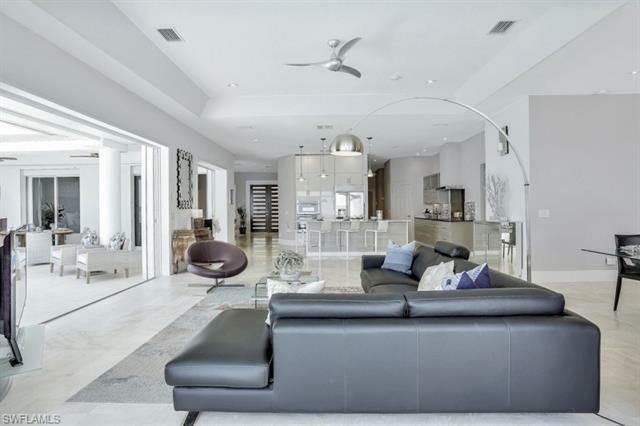 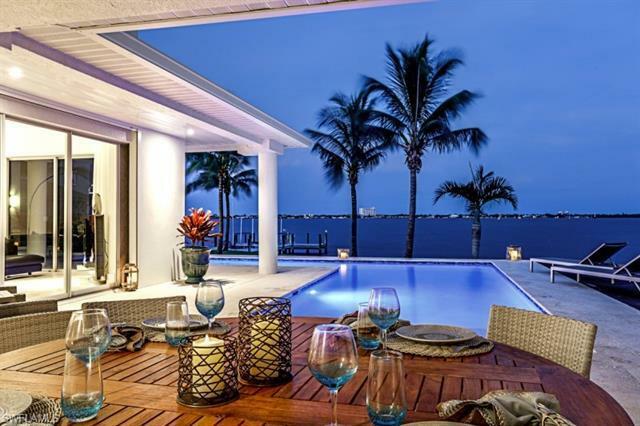 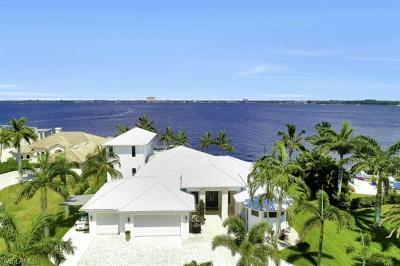 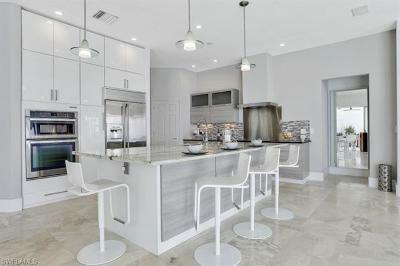 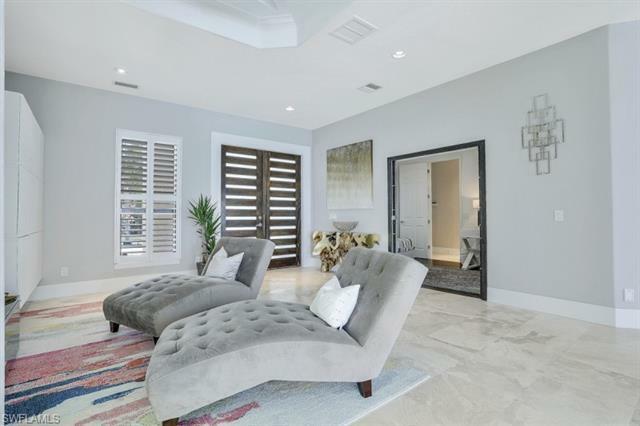 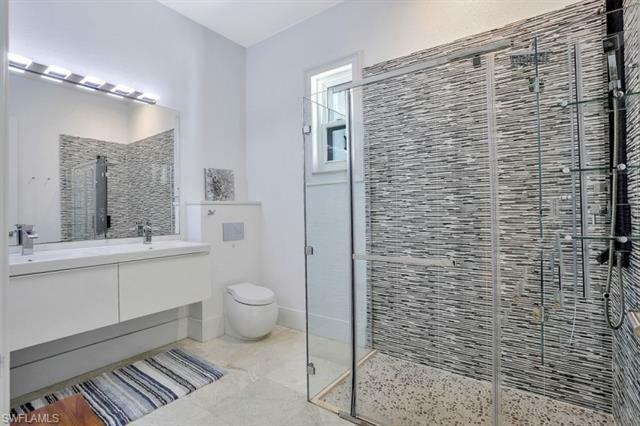 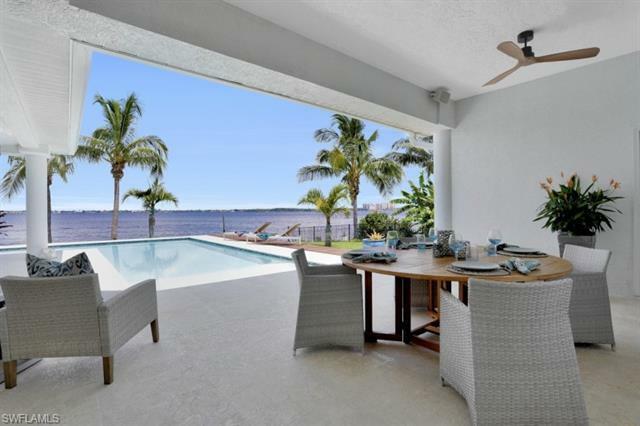 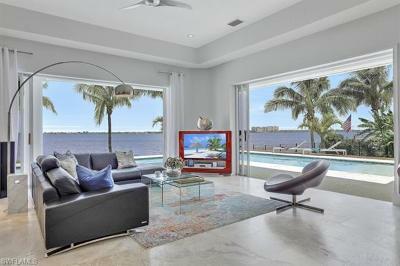 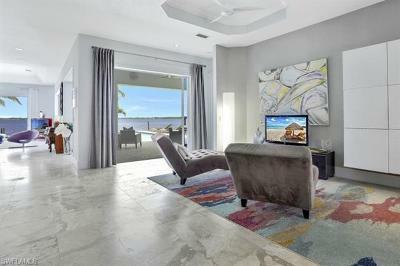 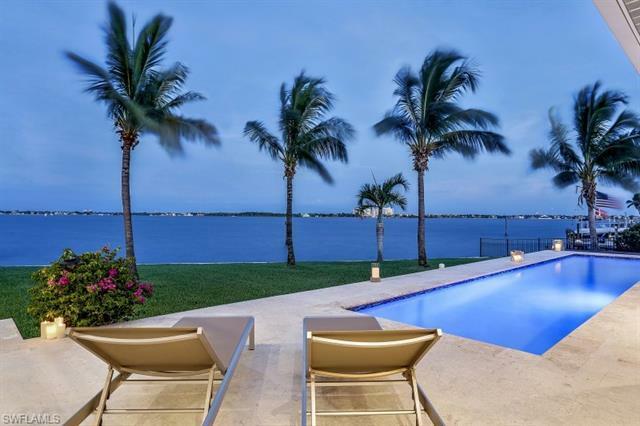 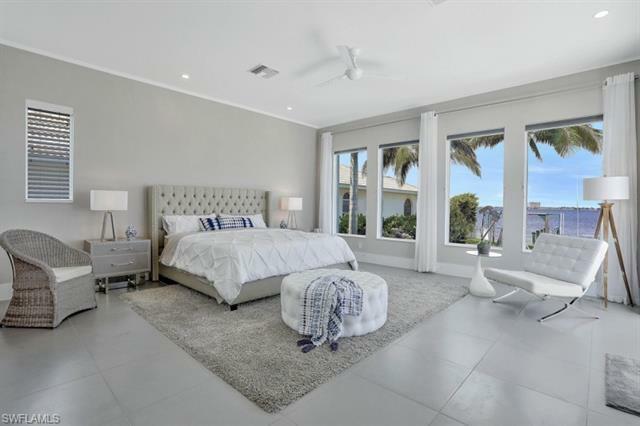 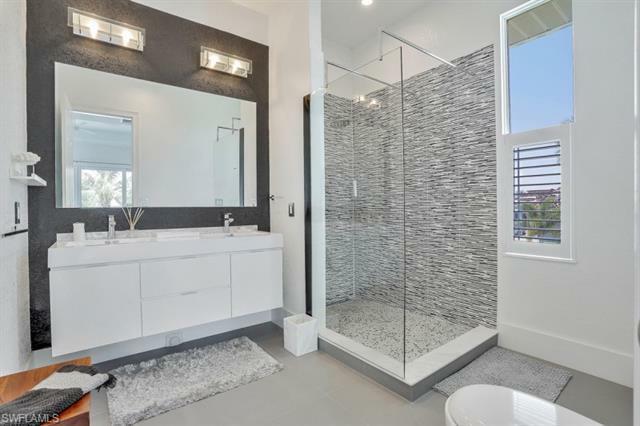 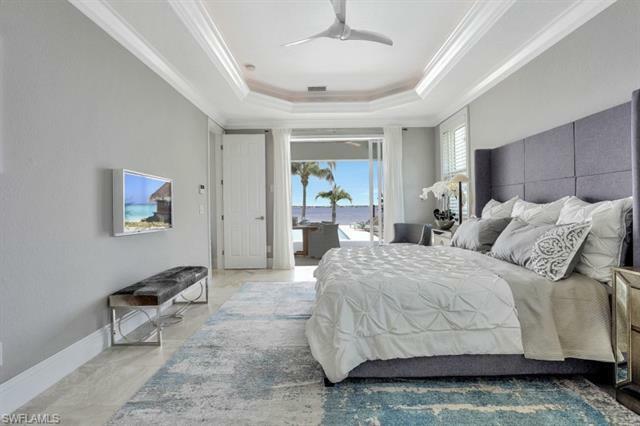 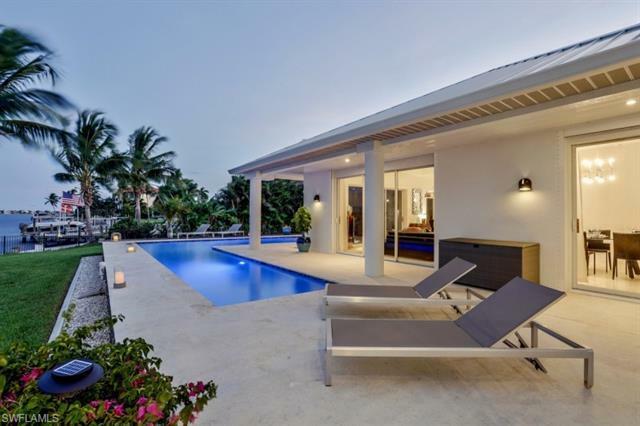 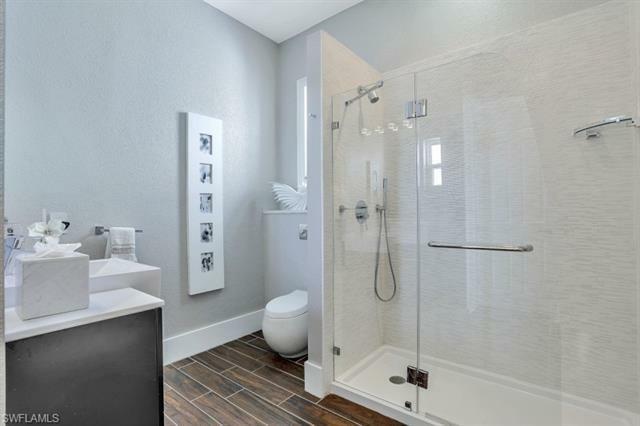 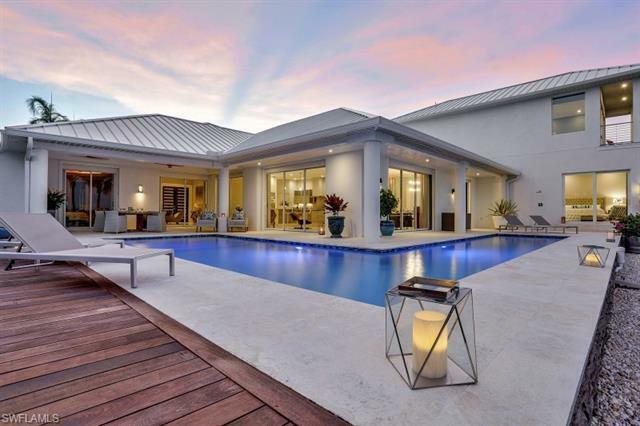 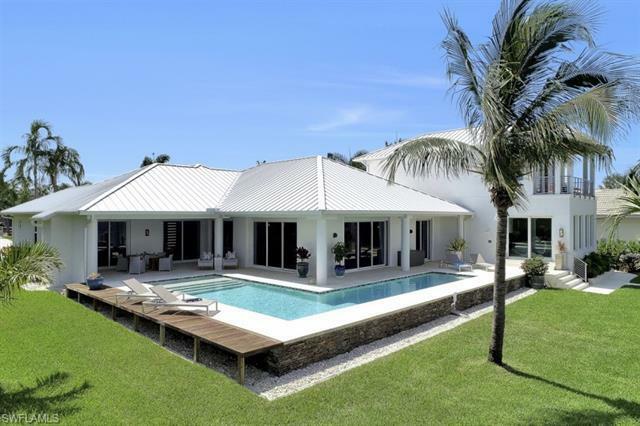 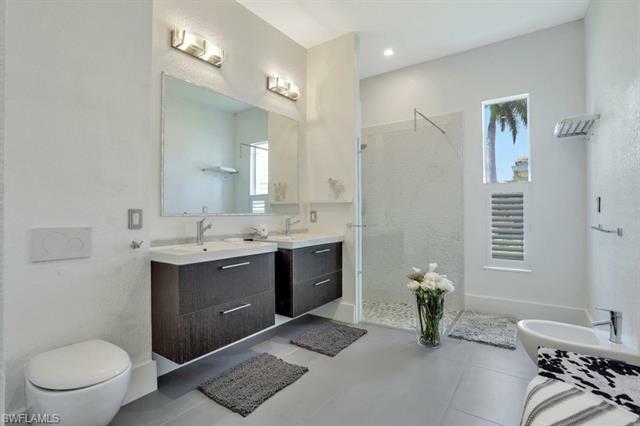 Byblos is a large, bright and modern house, easy to live in with a magnificent view of the ever-changing waters of the river in a privileged street of Cape Coral. 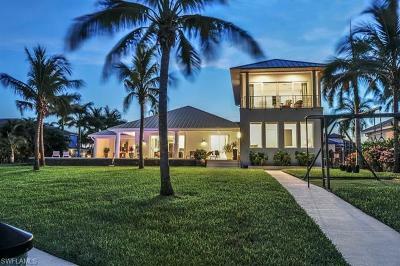 It is a mere 5 mins walk to the beach and tennis courts. 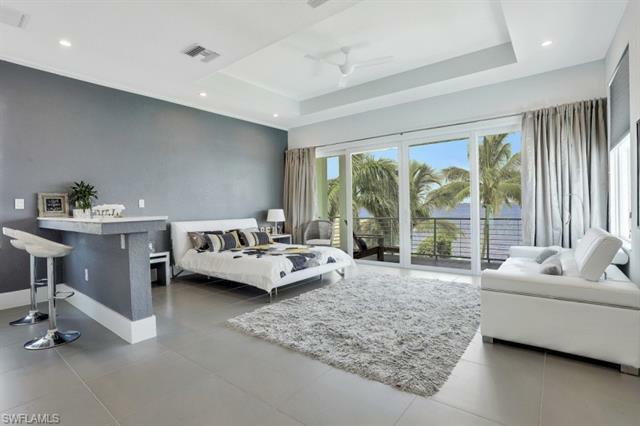 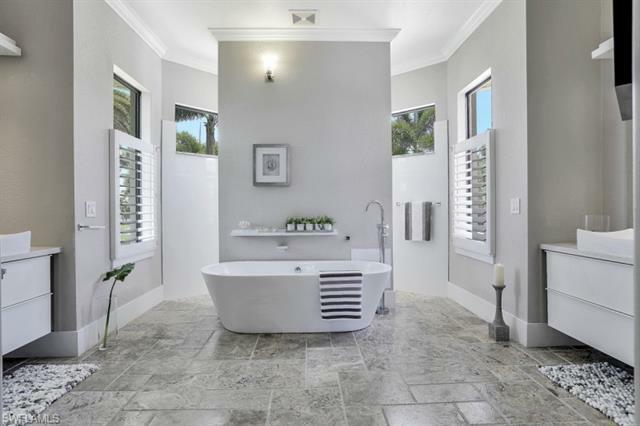 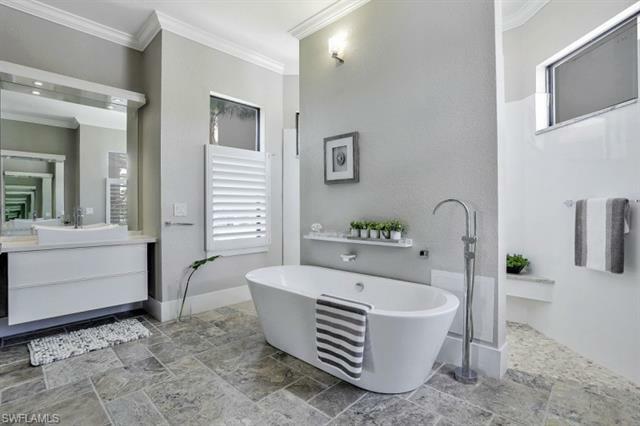 It has been recently totally rebuilt and re-designed in a contemporary spirit with high ceilings throughout and clean lines. 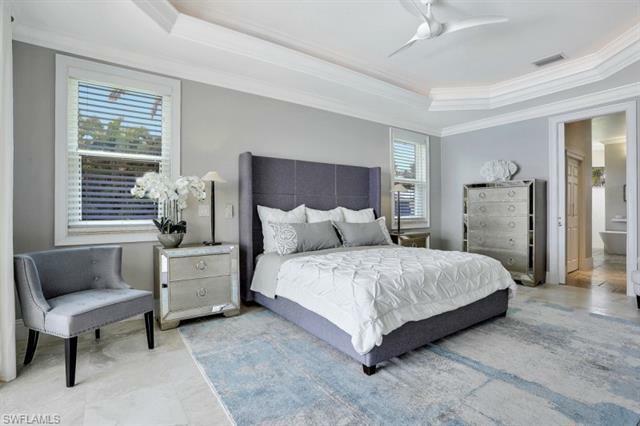 There are 3 master bedrooms, an en-suite bedroom and an extra room that can serve as either an office or a 5th bedroom with its Californian closets. 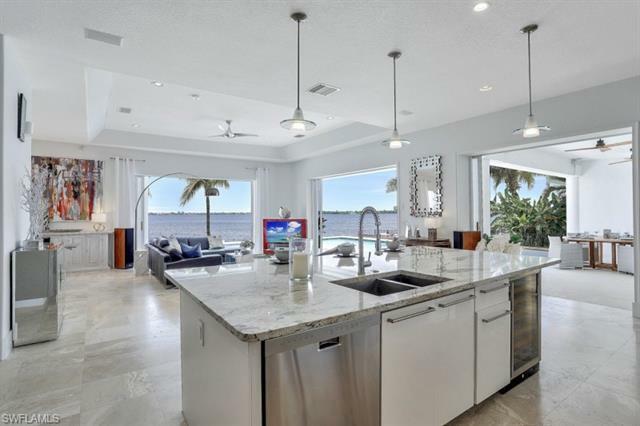 From the huge granite kitchen island, the view of the river is stunning: one can admire the dolphins passing by while cooking or eating lunch from the counter. 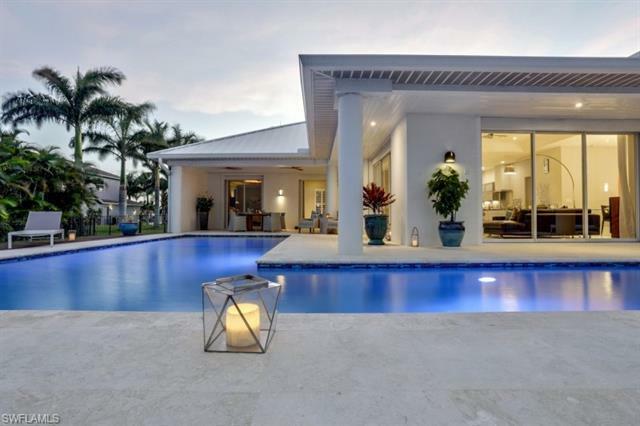 The L-shaped pool with its clean lines and fabulous coral stone deck is a pure beauty while the over a half acre yard offers rare privacy. 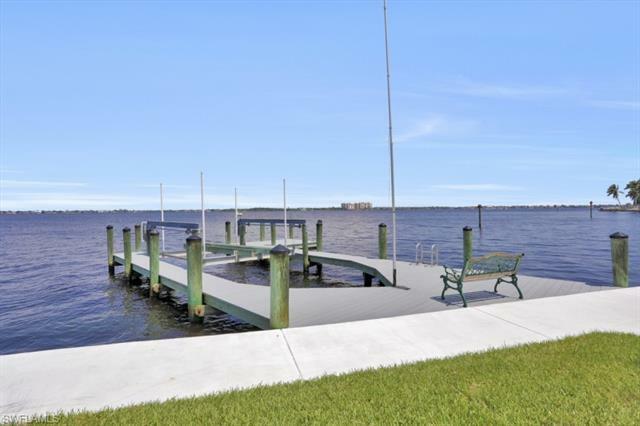 The composite dock hosts a 12, 000 lb boat lift. 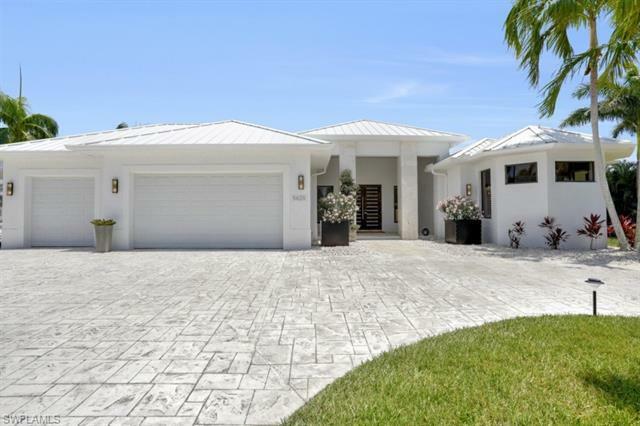 The generous circle driveway extends into an exterior 2 places parking. The 3 cars garage is air conditioned. 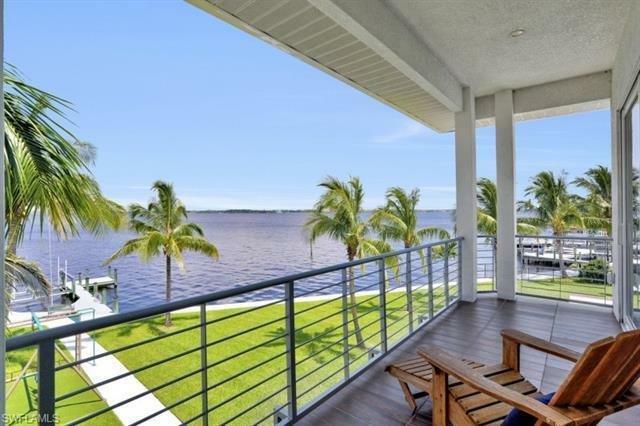 The length of the seawall is exceptional: 140 feet of river frontage! 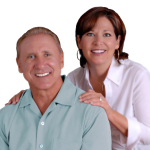 Byblos is a truly unique jewel!